According to a class action lawsuit filed in 2013 by the American Civil Liberties Union, Dueñas was one of potentially thousands of immigrants who were pressured into expediting their own expulsion by signing Voluntary Departure forms, without being properly informed of the consequences, or of other options. Dueñas alleges that she was told, incorrectly, that she had no chance of obtaining legal status through an immigration judge; that she was threatened with a minimum of two months in detention if she did not sign the form; and that she was not told that once she agreed to leave the United States and her family, she would be barred from returning for ten years. Shortly after being taken into custody she was removed to Tijuana, Mexico, where she’s lived ever since. Now, Dueñas may have a chance to return. On Tuesday, the ACLU of San Diego and Imperial Counties announced an “historic” settlement with the federal government, which has agreed to reform the voluntary departure process, and to allow the plaintiffs to reenter the country and seek legal status. A federal court still must approve the class portion of the settlement, which would let other people who waived their due process rights return to plead their case. Hundreds of thousands of people were removed to Mexico “voluntarily” over the period covered by the lawsuit, according to the ACLU, meaning that even if only a small fraction are ultimately included in the class, the settlement could reunite a significant number of families. The settlement won’t end voluntary departure, which for many people carries fewer legal penalties than an order of deportation. But the government will have to reform the process. Border Patrol agents will be required to give detailed information about the consequences of waiving the right to an immigration hearing, and to give immigrants considering voluntary departure access to telephones so they can consult lawyers, relatives, and foreign consulates, and reach a newly created hotline with information about the process. Previously, immigrants in short-term custody were not always given time to make calls, Riordan said. 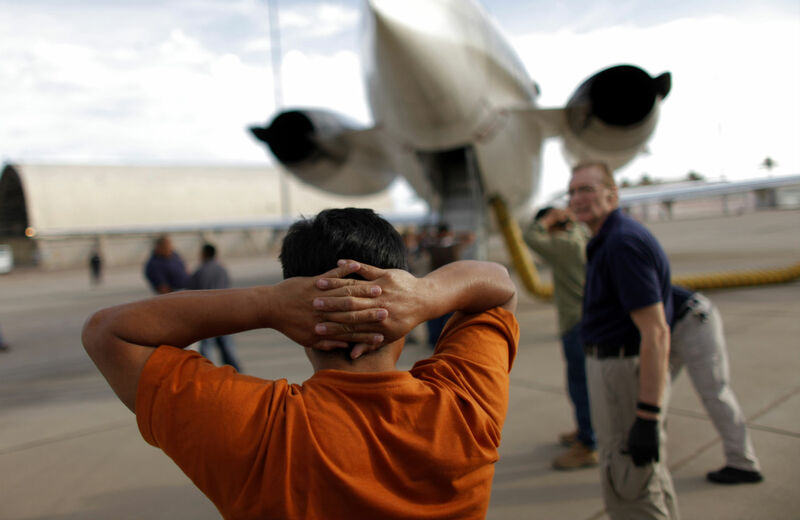 As a result even some immigrants who had attorneys were unable to contact them, and agreed to voluntary departure when it was against their interest. The government has also agreed to allow the ACLU to monitor its compliance with the terms of the settlement. “We will monitor ICE and Border Patrol closely to ensure that these agencies never again trick or coerce vulnerable individuals into signing away their fundamental rights,” staff attorneys Mitra Ebadolahi and Gabriela Rivera wrote in a statement.